Tag Archives for " Podcasting "
I talked about the benefits of podcasting quite a bit last year, and with the new year up and running, I wanted to take the time to re-stress the value that podcasting can bring to your business ( I can’t even begin to explain the wonders it has done for mine). Plus, it’s actually very easy to set up and is a much more efficient use of your time compared to how long it takes to create other pieces of content. If you haven’t already included it somewhere in your plans for the next 12 months, I highly recommend doing so, and here are a few of my reasons why. Let’s face it, these days, it’s hard to pay attention to content for extended periods of time. With podcasts, however, you can fit them into your day whenever it works best for you, making the consumption of this type of content for extended periods of time far more common than it is with other forms of content. This gives you opportunities to showcase your knowledge in a way that you’re unable to otherwise. This goes without saying, but having your brand in front of your audience for extended periods of time can be extremely valuable. As of July 2017, there were around 350 million blogs from Tumblr alone. If that stat doesn’t show you how crowded the online space is, I don’t know what will. Podcasting is different. While becoming increasingly popular year over year, there’s still significantly less competition in this space, making it easier for you to stand out with your target audience. Podcasting still allows you to compete on an even playing field. Podcasting allows you to develop a deeper relationship with your audience. Hearing your voice frequently makes your audience feel like they actually know you. The more a person feels like they know you, the more likely they are to trust you, and in turn, buy from you. Plus, if people feel a loyalty to you and your brand, they’ll be more likely to leave you positive reviews, which further builds on your trust and credibility. One of the big surprises to me was the relationships that you develop during an interview. Reaching out to others to have them as a guest on your show is a great way to build your network. The more people you can connect with, the more you’ll increase chances of referrals, leading to more opportunities and business for your company. What’s even cooler about networking on this platform is that you can network with people you would never be able to otherwise, like influencers and people you view as mentors or role models. Creating content is essential to the success of a business today, but finding time to create a bunch of content can be difficult. So, why reinvent the wheel? With podcasting, you can repurpose the material into other forms of content, such as video or a series of blog posts. Repurposing the content will also help you to further expand your reach because part of your audience may not consume audio-based content, but they may be avid readers and vice versa. See what I mean? In general, a podcast is also a great way to build leads, so although the monetary benefits may not be immediate, the business in can bring you over time can be huge. Earlier in this post I discussed how having guests on your podcast can be great for networking, but you being a guest on another person’s podcast can provide the same benefits. As you are interviewed on more podcasts, your reach begins to snowball. It’s a great way to get exposure with very little effort (far easier than taking the time to write a guest blog on another website). Now, in order to be truly effective with podcasting, be sure to have a clear vision of what you’d like to get out of it and know who you are targeting. Once you have those in place, dive in and start receiving the benefits discussed above. Bottom line, in one interview, with little preparation, you can gain access hundreds or thousands of targeted listeners. Who wouldn’t want that? Do your research, set everything up, and get going. Every now and then I have to get pretty meta on my podcast and use it to talk about podcasting. Podcasting, both appearing on them and producing your own, is a solid small business marketing tactic and I’ve been trying to spread that word for many years. My guest for this week’s episode of the Duct Tape Marketing Podcast is Rob Greenlee. He is a podcaster and the Head of Content at Spreaker, a podcast publishing platform. He and I discuss, you guessed it, podcasting. Greenlee is the co-host of The New Media Show audio & video podcast and Spreaker Live Show. He is the former founder and lead host of WebTalk World Radio Show and Zune Insider podcast. 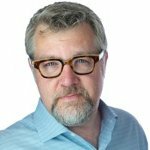 Prior to Spreaker, he was with PodcastOne as EVP/CTO and was also former Business Manager and Content Manager, Podcasts at Microsoft Zune, Xbox and Windows Phone. Why has podcasting gotten so big? 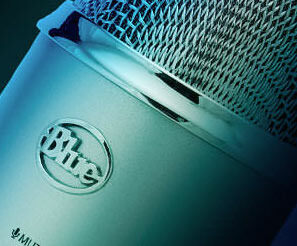 What are some ways you’ve seen people use podcasting to enhance their businesses? What tools do you need to podcast successfully? Learn more about Rob Greenlee. Listen to the Spreaker Live Show. Listen to the The New Media Show. I’ve been podcasting a long time and it’s been pretty fun to see how this “channel” has evolved, particularly of late. The podcast or audio distribution format has definitely hit mainstream status. 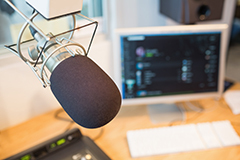 Radio and TV networks look to this form of distribution as the way forward and big time players like NPR have embraced it fully as a way to reach an audience increasingly tuning radio out. 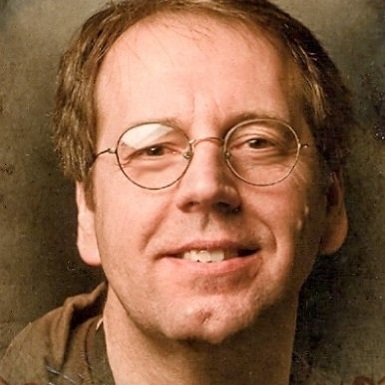 Webster has nearly 20 years of experience researching consumer usage of technology, new media, and social networking, and is the principal author of a number of widely-cited studies, including The Social Habit, Twitter Users in America, and the co-author of The Infinite Dial, America’s longest-running research series on digital media consumption. He is also the co-author of The Mobile Commerce Revolution, and a popular keynote speaker on data and consumer insights. What can brands and podcasters learn from your studies on podcasting? What types of content are most popular on podcasts? What is the key to podcasting growth? Learn more about Edison Research. Check out The Podcast Consumer 2017. Check out the 2017 Infinite Dial Study. Making the sale today is just a bit more complicated isn’t it? Buyers are armed with more data than ever, more advice than ever and often a buying process that makes it easier to kill a deal than buy anything. My guest for this week’s episode of the Duct Tape Marketing Podcast is Tim Sanders, author of the new book Dealstorming: The Secret Weapon that can Solve Your Toughest Sales Challenges. We discuss his newest book and a new way to approach a difficult sale. Sanders is a wealth of knowledge when it comes to overcoming tough sales challenges and the Dealstorming approach is an approach tailored to today’s buying environment no matter how bit of small the deal may be. Can this approach kill a deal that probably shouldn’t have happened? Why should you ask more questions in a successful Dealstorm? Why you should always be looking to innovate in sales. How involving customers in your brainstorming process is a positive thing, not a case of last resort. 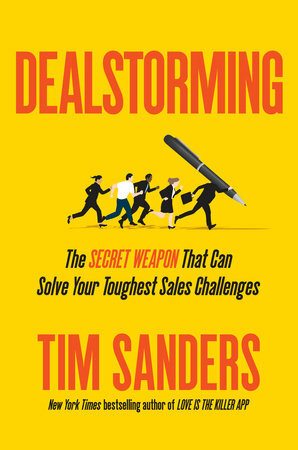 You can find out more about Tim Sanders and his new book Dealstorming: The Secret Weapon that can Solve Your Toughest Sales Challenges at dealstorming.net. There, you can download a free chapter of the book and even signup for training when you buy a book. This episode of the Duct Tape Marketing Podcast is brought to you by FreshBooks, small business accounting software for non-accountants. Freshbooks is offering a free month of unrestricted access just for Duct Tape Marketing podcast listeners. You don’t even need a credit card to register. To get your free month, go to freshbooks.com/ducttape and enter DuctTape in the “How Did You Hear About Us?” section. As the content marketing arms race continues to heat up, it’s becoming harder and harder to get noticed. Sometimes it seems that unless you are a published author, speaker, and prolific blogger, you won’t get much traffic or recognition as an authority in your niche. This is especially true in competitive niches like small business marketing, where having a blog is now practically considered a minimum expectation. For people struggling to keep up with the competition, there is some good news, however—at this time, podcasting is still a relatively easy way to differentiate yourself from the competition, stand out in a crowded market, and gain access to hard-to-reach influencers in your industry. Notice I say “at this time”. While podcasting might not ever become as prolific as blogging is as a form of content marketing, I do think there will come a time when the number of people who have their own podcast will become so great that it just won’t be very exciting anymore. That time hasn’t arrived yet—in fact, about 50% of Americans still don’t even know what a podcast is, and even among content marketers there are still relatively few podcasters. Perhaps this is because people believe that podcasting is technically difficult and requires more time and energy than blogging. Ironically, the truth is exactly the opposite—writing a keyword-rich blog post optimized for internet search actually requires more technical skill (in terms of knowledge of SEO best practices) and more time than producing a good podcast episode. In fact, it’s taken me about four times as long to write the first three paragraphs of this blog post as it does to record one episode of my podcast. For those of you who have been considering starting a podcast, now is the time to do it. Follow this ten-step process to get your show up and running. Picking a topic for a podcast should be fairly easy for people who have an existing business or a blog, since your podcast can simply be on the same topic as your blog. However, you should probably check iTunes before finalizing your topic to see how many podcasts there are covering the same subject. If there are few podcasts about your topic, that makes your job easier. If there are many podcasts about your topic, then you’ll want to spend some time thinking about how your podcast will be different than all the existing podcasts about the same subject. If you simply copy what many other people are already doing, it will be harder for you to build an audience. Once you have a topic, you’ll need to decide on a format for your show. Will the host of the show interview a guest in each episode who is an expert on the topic? Or will the host be the expert who provides all the content? Will you have one host or two hosts? How long will your episodes be? How often will you publish new episodes? Will your show be a video or audio podcast? It’s important to consider your target audience as you answer these questions. For example, the target audience for my podcast is busy local business owners who probably don’t have 40 minutes to listen to a long podcast every week. As a result, most of my podcast episodes are only about 5 minutes long. However, if your target audience is marathon runners who love listening to podcasts about fitness as they train for their next race, then you’ll probably want to make your episodes a little longer. Contrary to what you might think, you really don’t need much equipment to produce a quality podcast. All you need is a quality microphone (I use the Blue Nessie), a Skype account, software to record a Skype call (like Pamela), and some basic software for editing audio files (like Audacity). You can get all of the above for under $100. If you’re starting a video podcast, you’ll need some additional equipment (like a webcam), but if you want to keep it simple and stick with an audio podcast, you’ll be just fine with the basics. Just like a website, podcasts need a place on a server where the media files will live. While you can host a podcast on your website (depending on where your site is hosted), I don’t recommend it—if your podcast really takes off and gets a lot of downloads, it could really slow your site down. Instead, use a dedicated podcast host like Libsyn. For most podcasters, about $15 a month will give you plenty of storage space for your media files. When you pick a title for your podcast, there are several different directions you can go. You could us your name (The “John Smith Show”), use a clever name that uses jargon from your industry in the title (a fishing podcast called “The Reel Story”, for example), or use a descriptive name that tells people exactly what your podcast is about. Keep in mind that if you can work some keywords into your podcast title, it might help it turn up in searches on iTunes or Google when people search for podcasts about your topic. The same cliché about judging a book by its cover holds true for podcasts. Get a professional cover designed for your podcast on Fiverr.com that meets the iTunes specifications. This will be the first thing people see when your podcast turns up in search results on iTunes, so you want to make a good impression. You’ll want every episode of your podcast to have a short introduction that includes the name of the show, who the target audience is, and why people should listen. You can record this yourself or have it done by a voice-over artist. You’ll also want an “outro” for each episode with a call-to-action for your listeners—for example, telling them how they can contact you, or where they can go to download some additional content related to the episode. Save the intro and outro as a template in your audio editing software, so that you can simply drop the audio file for each episode into the template. This will make the editing process quick and easy. This step is way beyond the scope of this blog post—in fact, several excellent books have been written about the process for launching a podcast. I recommend Podcast Launch by John Lee Dumas if you want to learn how to launch a podcast the “right” way. However, if you want to simply submit your podcast to iTunes and aren’t worried about doing a big launch, that’s fine also. One thing you should be aware of, however, is that iTunes has something called a “new and noteworthy” section where recently launched podcasts are featured. Only podcasts less than eight weeks old are eligible to appear in this section, which is the first section people see when they open up iTunes. 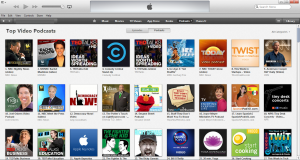 If you launch your podcast the right way, you can get significant exposure by getting your show featured at the top of the “new and noteworthy” charts in your category. After your show is live, you’ll want to get some five-star reviews for it so that people who stumble across it will be more likely to download an episode. Getting people to review a podcast on iTunes is not easy, because compared to leaving a review for a book on Amazon or reviewing a business on Facebook or Google, the process for reviewing a podcast is somewhat cumbersome. I suggest asking friends, family, and strategic partners to help you out by leaving your podcast an honest review. The process for marketing a podcast is really little different than marketing a book, blog, product, or anything else, so I won’t go into detail about how to do that here. The bottom line is that you will have to promote it—it isn’t simply a matter of “if you launch it, the listeners will come”. You can spend as little or as much time and money marketing your podcast as you want, but obviously the more you put into it, the more you’ll get out of it. While the process for starting a podcast may be slightly more involved than starting a blog, once you have started it, it actually requires less time and energy to maintain than blogging. Now is the time to get started, before podcasting becomes simply another standard expectation for content marketers. Kevin Jordan is a small business marketing consultant and member of the Duct Tape Marketing Consultant Network. He’s also co-author of the best-selling book The Small Business Owner’s Guide to Local Lead Generation and the host of the top-rated video podcast The Small Business Marketing Minute Show. 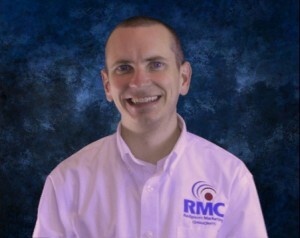 You can connect with Kevin on Twitter @RMCVirginia. It’s no secret that the way we do business today is far more dynamic and advanced than the way we did business even just ten years ago. The professional world has skyrocketed far beyond basic printed text when it comes to marketing; there are increasingly more outlets surfacing that allow us to tell the world about our products and services, and taking advantage of these resources can help any brand amplify its presence. Multimedia production–the use of various digital canvases such as text, audio, animation, photography, video, etc.–allows business owners to present their companies in an engaging and modern light, helping them to stand out from competitors and make a more powerful impact when attracting their prospective clients. Share-worthy posts are exactly what they sound like; they’re posts on social media platforms that get many shares, likes, favorites, etc. The more popular that a post is the more eyes that will come across it. This is an excellent way to create a larger audience and expose more users to your company. If you’re only posting quick tweets and Facebook updates that alert users of your promotions, however, chances are that you’re not getting much advantageous attention on social media. This is where multimedia can make a tremendous, beneficial dent. 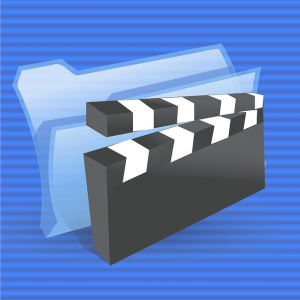 It’s estimated that videos are over 1000% times more likely to get shared than text or links. That is a monumental number, and to further prove the point, just take a look at your own social media accounts; how many of your friends share videos compared to how many share text-based posts? Similarly, creating engaging podcasts or whiteboard videos that share useful insight or how-to-style advice is an excellent way to develop linkable assets for your website. Simply put, linkable assets are items on your website that visitors are likely to refer other users to–these tend to be items that help educate or enlighten users on a particular topic or resource in your industry. For SEO purposes, the more links you acquire that point back to your website from other relevant, high-quality websites, the higher your rankings in search engines will be. If you can introduce your products or services to a potential customer with an eye-catching explanatory video, you’ll have a greater chance at converting that person into an actual paying customer. Users want to be informed in a straightforward, easy-to-follow way, but they also want to be entertained. Videos and animations are becoming popular ways for businesses to demonstrate the value of their offerings while simultaneously providing the viewer with a captivating experience. According to recent video marketing statistics, over 50% of marketers agree that video provides the best return on investment when compared with any other type of content. At the rate that users are gravitating towards visually-engaging pieces (and based on the fact that the average user spends 5.5 hours per day viewing video content), we can logically predict that this percentage will continue to grow in 2016. The greater the variety of marketing tactics that you use, the broader your client base will become. Not all customers are swayed the same way, and experimenting with multiple platforms is a solid tactic to help diversify your audience and expand your brand awareness. For instance, some users are interested in industry-based debates and discussions, and organizing a weekly or monthly podcast could help draw in these viewers while also establishing your authority in the industry. Likewise, other prospective clients may be more interested in actionable advice, so developing several video tutorials to go along with your products or services would lead to more conversions among this group. The point is that by broadening your marketing strategies, you’ll naturally widen your customer base as well as deepen your relationship with existing consumers. Developing a recognizable, reputable public image is an important part of any company’s success. For example, solid PR and carefully cultivated credibility are why consumers are willing to pay more for Cheerios when the generic counterparts taste pretty much the exact same. In today’s world, multimedia can play an integral role in helping you strengthen your brand’s identity. What does this company offer? Why should I trust this brand? Why should I choose this brand over other providers? How can I relate to this brand? Multimedia production isn’t just for your consumers; it can also significantly help make the inner workings of your company run more smoothly and efficiently. For example, demonstrative photos and interactive training videos can dramatically streamline the learning process for new employees. This is also a boost for your bottom line, as you’ll save both money and time by simplifying the training of your staff. Print-based company manuals can be, quite honestly, fairly dull, resulting in a decrease in information retention. The more dimensional and compelling your training process is, the more quickly new members of your team will pick up on the ins and outs of what’s expected of them. After all, who doesn’t learn better when they’re actually engaged with the subject-at-hand? At the end of the day, multimedia production is the most effective way to get the word out about your company; traditional marketing tactics are still effective, but you’ll go much further with your brand if you’re willing to get a bit more innovative and creative with your efforts. The numbers don’t lie, and it’s quite transparent that the only way to push your brand forward into the future is to effectively mix and match various digital elements. That being said, get inspired, have fun, and let the whole world see and hear why your brand is the prime option to go with. 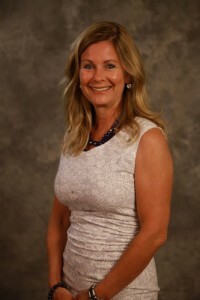 Glenda McCarthy-Gaspar is the CEO of Proforma SI, a print, promotional, and graphic communications marketing company, and she has over 15 years of sales/marketing experience. She currently lives with her husband and two golden retrievers and has three grown children who have kids of their own. No shock in this statement – I’m a big fan of blogs and blogging as a core marketing, content and SEO practice. I subscribe to many blogs, read blogs daily and generally find that when I search for things blog posts offer the most useful solutions. I read many different types of blogs – some for inspiration, some for thought leadership and still some for personal growth. Today I want to present a list of blogs that I turn to on a regular basis when I want to learn something practical and useful. This list of 21 blogs isn’t top list or ranking or any other of the link bait kinds of lists you see out there. The blogs on this list are tools for me as I market and grow my business and attempt to expand my knowledge in an ever changing world. I frequently get asked about resources I turn to and, for today, here they are. I placed them into a handful of categories, but many of them could cross over into multiple categories and often do in the range of topics they weigh in on. Most of these won’t be new to regular readers as I reference them often, but it can be helpful to see them all in one place. Subscribe to this list and you’ll always have ready access to tips, tools and techniques you can take action on today. Feel free to share blogs you find utterly useful when you need to learn how to do stuff. 7	Does Your Business Have a TV Show? It’s guest post day here at Duct Tape Marketing and today’s guest post is from Kevin Jordan – Enjoy! If you watch any television at all, chances are you’ve stumbled across one of the many reality TV shows that turn the day-to-day drama of a small business into prime time entertainment. There’s TLC’s Say Yes to the Dress (starring Kleinfeld Bridal in Manhattan) and Cake Boss (featuring Carlo’s Bakery in Hoboken, NJ), the History Channel’s Pawn Stars (Gold and Silver Pawn Shop, Las Vegas) and American Pickers (Antique Archeology in Le Claire, Iowa), and my personal favorite–the Discovery Channel’s Flying Wild Alaska (about the airline Era Alaska, based in Unalakleet, AK). These shows have turned the owners and employees of obscure small businesses into international celebrities, and generated tens of thousands of dollars of revenue for the businesses (if not more). What small business owner hasn’t watched one of these shows and thought to him or herself, “I wish I had a TV show about my business distributed by a media giant to millions of viewers around the world”? Well, I’ve got great news for you. You can have a TV show about your business, and Apple will deliver it literally into the hands of 1.5 billion people around the world. It’s called a video podcast, and for the business owner who has the time and resources to devote to creating one, it’s a very effective way of delivering educational content to your target audience and establishing yourself as an authority in your niche. Before I go any further, perhaps I should clarify what exactly a podcast is, because the name “podcast” actually is no longer a good way of describing it. You see, a podcast is basically a means of distributing content to an audience. That content can take the form of a radio show (audio podcast), a TV show (video podcast), or a newspaper (yes, you can actually distribute PDF documents using a podcast). The reason it’s called a “podcast” is that in the beginning many people were listening to audio podcasts on their iPods. However, there are now many different ways that people can consume podcasts, so that’s a little bit of a misnomer. Just as is the case with more traditional forms of syndicated content distribution, people can either consume one “episode” of your podcast (like picking up a newspaper from the rack at the news stand), or they can subscribe to your podcast and have each episode automatically delivered to their favorite device when it is released (smartphone, laptop, iPad, iPod, etc). Why would you want a video podcast? 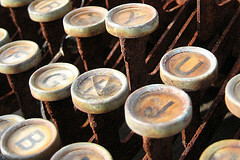 Now, you may be thinking to yourself, “I already have an email newsletter that people can subscribe to. Why should I have a podcast also?” Unlike an email newsletter, this method of delivering content to your target audience is completely spam-proof, and does not require someone to divulge any personal information (like name and email address) in order to receive it. Therefore, all barriers to entry are essentially removed. It’s a great way to let people “try out” your business at no risk–a key component of the Duct Tape Marketing Hourglass concept. With a video podcast, there are fewer restrictions on the type of content you can produce–think live demos, screen capture videos, virtual tours of your facility, etc. In some cases (depending on your content), you can separate the audio from the video in your editing process and use the audio files to create an audio podcast without any additional editing, thus reaching a wider audience. Right now, there are a lot fewer video podcasts than audio podcasts, meaning less competition. Also, Apple is actively promoting video podcasts in iTunes and has expressed interest in getting more of that type of content on their platform. What will your show be about? Use your show to teach customers (or potential customers) how to use your products. For example, the Basic Brewing video podcast teaches people how to brew beer, and its host, James Spencer, has an online homebrew supply store. Use your show to establish authority and credibility in your niche. If you’re a speaker, author, or coach, a video podcast is a great way to position yourself as an expert. See the NutritionFacts.org video podcast for an example. Your show could simply be a method of broadcasting company events, messages and updates to your employees, strategic partners, vendors, and customers. For example, the White House publishes a video podcast that is simply a recording of all the president’s speeches. If those examples don’t give you any ideas or inspiration, just go to iTunes and search for video podcasts about topics you are genuinely interested in (you can even find video podcasts about video podcasting). Subscribe to a few and start watching them on a regular basis. Chances are, before long you will start to view the hosts of the shows you subscribe to as experts you can turn to for trusted advice. You may even end up buying products or services from some of them! There’s no reason why you can’t be one of those “trusted experts”. Start a TV show for your business so you can share your knowledge and experience with the world, gain the trust of your target audience, and position your brand at the top of your niche. Kevin Jordan is an authorized Duct Tape Marketing Consultant living in central Virginia. He’s also the host of the Small Business Marketing Minute, a daily video podcast for small business owners looking for simple, affordable, and practical marketing tips. He teaches several online courses on small business marketing, including video marketing. Podcasts are back in fashion again, but my view of why you should be creating interview style audio content hasn’t changed since I started podcasting back in 2005 or so. Whether you ever plan to view your podcast as a show or publication or just another way to create a highly portable form of content, a podcast can open doors. I’ve interviewed hundreds of interesting, influential and downright famous folks on my show over the years and many of these guests had no idea who I was when I asked to interview them – but they were drawn to the age-old media request of an interview. I’ll be the first to admit that many of the guests I approached were people in my industry, authors, speakers and consultants, who I wanted to get to know. Instead of sending them a request to “pick their brain” sometime, I asked to interview them so I could promote their next big project or book. The net effect of this approach is that I became a journalist in their eyes rather than someone simply seeking their time. Don’t get me wrong; many influential people will give you their time, but why not start these relationships by giving them something they crave – exposure. I’ve written four books now and every single “big name” person I’ve convinced to write a blurb for my book jackets appeared on my podcast at some point. It doesn’t matter what industry you are in or what your long-term objective are, you can benefit by way of interviewing your customers, industry leaders and even prospects as a way to create better content while you gain access to those you want to be part of your network. My guest for this week’s episode of the Duct Tape Marketing Podcast is John Lee Dumas. John is a wealth of information on the subject of podcasting and in this episode he shares the tips, tricks and tools he’s used to not only create a wildly popular podcast, but make a living doing so and teaching others how to do so. If you’re thinking about getting your podcast game on, below are some of the major elements you’ll need to consider. First and foremost you have to decide why you are doing your show. Is it to gain access, grow and audience, get exposure, build authority or make money as a podcaster? The answers to these questions should dictate how you proceed. For more in depth coverage of each of these topics check out John’s course on podcasting. Theme – What will your show be about? What will the overarching objective of the show be? Style – Will your show be interview style, 2 host banter style or simply a roundup of ideas from around the web? Content – Will you have regular segments, guest appearances, or free flowing ideas and conversation? Format – How long? Co-hosted? Will you have music and advertising? Frequency – How often will you publish a show? Daily, weekly, monthly? Segments – What segments will appear over and over again?